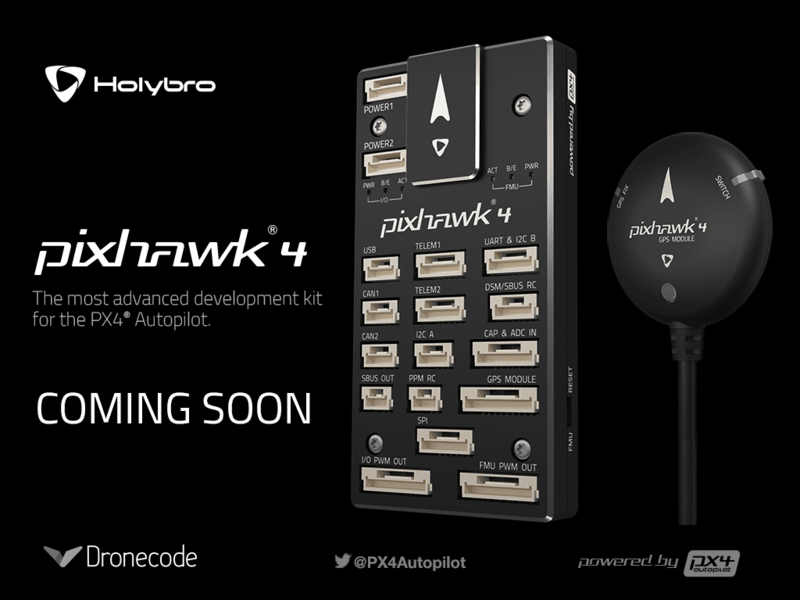 We are proud to announce Pixhawk 4 will be shipping by early May! Pixhawk 4 is the latest update to the successful family of Pixhawk flight controllers, designed and developed in collaboration with Dronecode® member Holybro® and the PX4® team. It is based on the FMUv5 reference design that was developed by the community at end of 2016 and has been available to all manufacturers. The Pixhawk 4 comes preinstalled with the latest stable version of PX4 (v 1.7) enabling developers to get started quickly with the Dronecode platform. We are excited to introduce this new hardware to our community. Pixhawk has a rich history, and has evolved through several product generations since its inception. It is widely adopted by academic and industry developers for its flexibility and its quality that rivals autopilots that cost a multiple of it. With the input from Pixhawk developers and users, this latest update includes more performance, advanced reliability, and better integration capabilities. The Pixhawk 4, features a 32 Bit Arm® Cortex®-M7 with 216MHz, 2MB memory, and 512KB RAM. It has more computing power and 2X the RAM and memory compared to previous versions. This allows developers to go beyond of what is possible today and focus on building the best flight algorithms. Full user manual will be available soon on the PX4 dev guide. The hardware will be available for ordering online at Holybro’s website. The PX4 Autopilot as of its latest v1.7 release supports a wide array of flight controllers, click here for a full list of supported hardware.